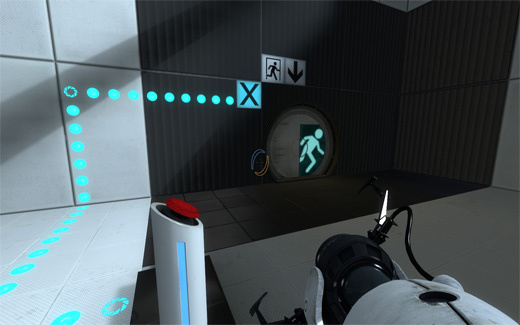 An update has been released for Portal 2 - Fixed possible remote code execution exploits. - Fixed potential buffer overflow in closed captions. Reported via HackerOne. 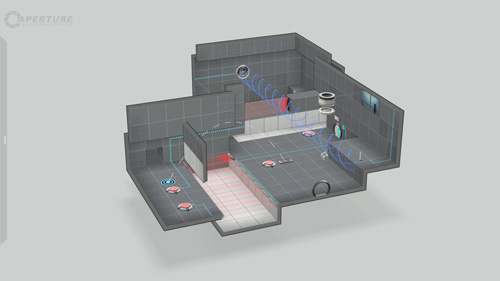 An update has been released for Portal 2 - Added HUD hint support for Steam Input types other than the Steam Controller. 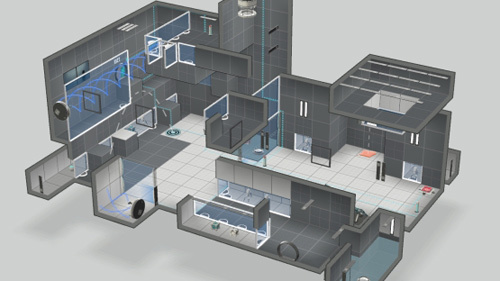 An update has been released for Portal 2. - Fixed crashes on multi-core and multi-CPU systems that can allocate more than 32 threads. 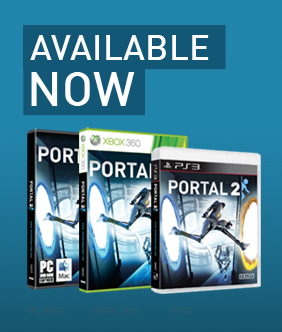 An update has been released for Portal 2. - Security and exploit fixes. 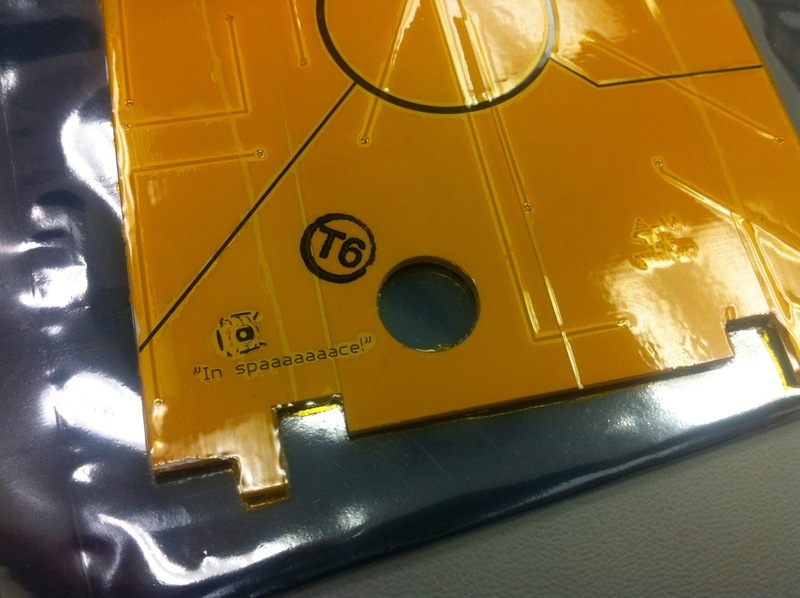 Reported in part by Justin G. (sigsegv) and Linus S. (PistonMiner). 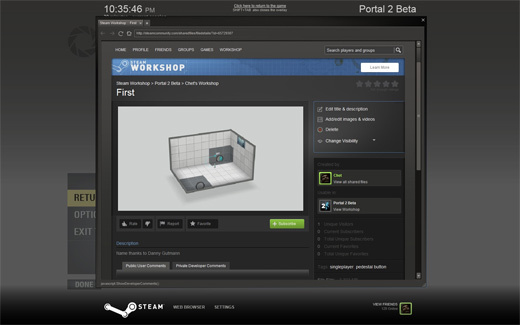 An update has been released for Portal 2 and Portal 2 Authoring Tools. - Updated to latest Steamworks SDK to fix the map publishing tool. 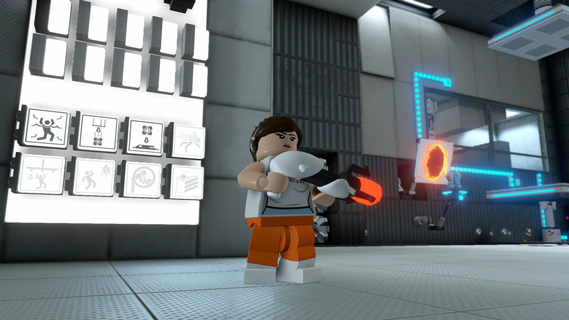 LEGO Dimensions is available now and features a ton of Lego-ized Portal content. Chell once again matches wits with GLaDOS and Wheatley inside Aperture Labs, only this time she teamed up with Batman and Gandalf. 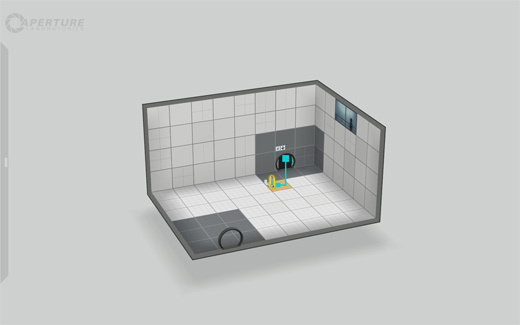 After we released the Portal 2 Authoring Tools earlier this year, we were thrilled by how quickly over 700 player-created puzzles were released into the wild. 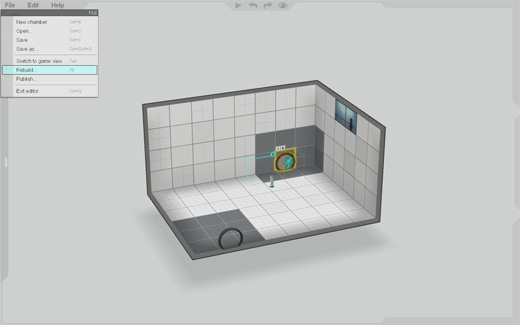 As successful as that was, the feedback we got was that many aspiring puzzle designers were finding that because of the complexity of the tool set, becoming the next GLaDOS was much harder than they expected. 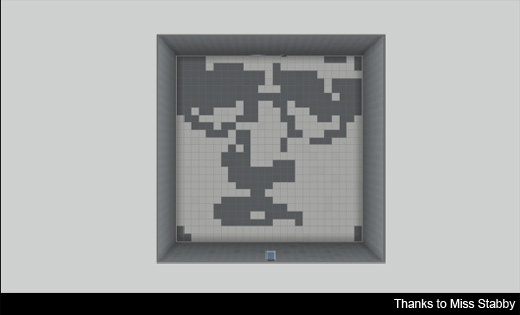 On top of that, it was too tedious and time consuming to actually find and play the puzzles that players were creating. We're going to fix all of that. 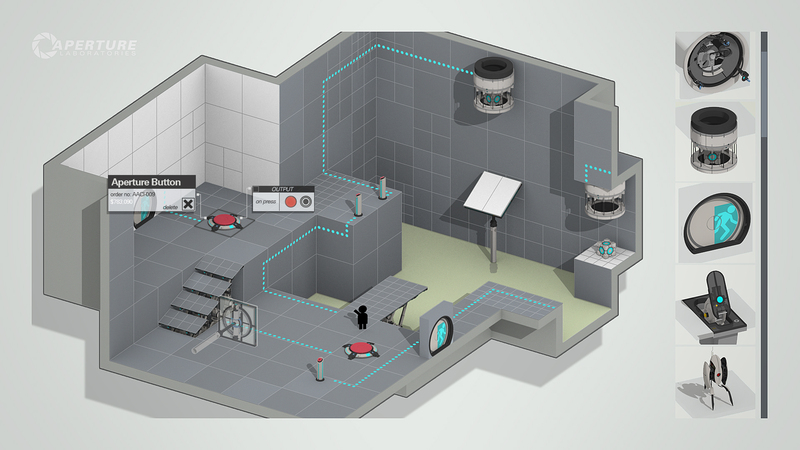 The next major update to Portal 2 will make it far simpler (and more fun) to create and distribute your own Portal 2 puzzles. 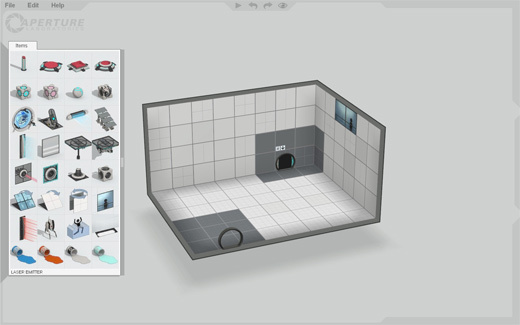 The simplified puzzle creator will let players easily carve out their creations in a straightforward but powerful way. They'll then be able to immediately upload those levels to their Steam Cloud and share them with other players online. We're also building a community site to host all of these player-created puzzles. 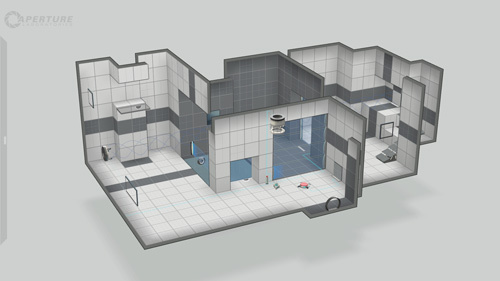 The site will allow players to quickly find new puzzles and add them to their game, ready to play, with a single click. Players will then be able to rate the puzzles they've played, leave comments for puzzle creators, and follow creators they like. We're positive there are a ton of great puzzle designers just waiting for the right tools, and we're working hard to tap into all that creativity. We'll keep you posted as we continue to make progress with the update. For now, here are some screenshots of the puzzle creator to get the ideas flowing. Portal 2's "Peer Review" DLC is live and available everywhere, and to celebrate, some friends have decided they want to give you things. First up is Dark Horse, who will be publishing "Valve Presents", a collection of comics from the Portal 2, Left 4 Dead, and Team Fortress 2 universes. Their contest? Recreate your favorite scene from any Valve comic in-game as machinima. If, like us, you not only don't possess the skill sets to do any of that, you don't possess the skill sets to know what any of the words in that last sentence meant, we've got two words for you: sock puppets. What can you win? Signed copies of "Valve Presents". Plus, the first place winner will also receive an original Michael Avon Oeming drawing. If all of this sounds like a complicated way to get a copy of a book, you can also just go to Amazon and give them pieces of paper for one. On Jinx's blog you can post a link to your self-created Portal 2 art and win one of ten signed Portal 2 1970s Action Movie Posters and a $150 J!NX Gift Certificate. We're going to hazard a guess that screenshots aren't art, so be prepared to do some actual work (or at least put a Photoshop filter on your screenshot). Steel Series needs some help picking out a Portal 2 mousepad. You can help them by visiting their site. Ten random participants will get a prize package made up of Steel Series peripherals. 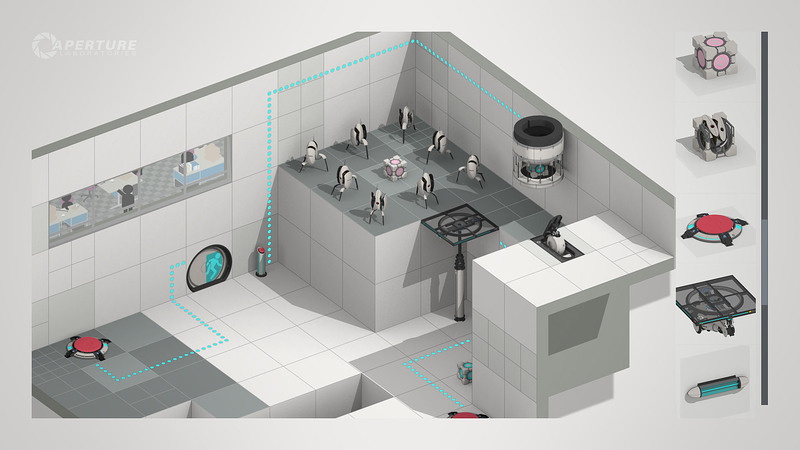 The Grand Prize winner, also chosen at random, will win a large format "Aperture's Requiem" Portal 2 print. So there you go. As with all third party contests, we urge you to visit the sites linked above to learn more about each contest. We have no idea what the actual rules or legal requirements are for this stuff, and assume no responsibility if you accidentally get a keyboard lodged in your forehead while making machinima. 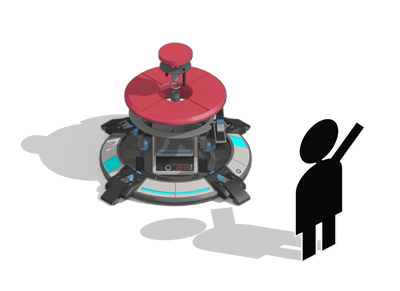 An all-new co-op adventure starring Atlas, P-Body and GLaDOS, the free DLC "Peer Review" takes place an unknown period of time after the events of Portal 2. You and your co-op science partner are once again awoken and assembled for a dangerous new mission. Did we say "dangerous"? We meant routine. Everything's fine. 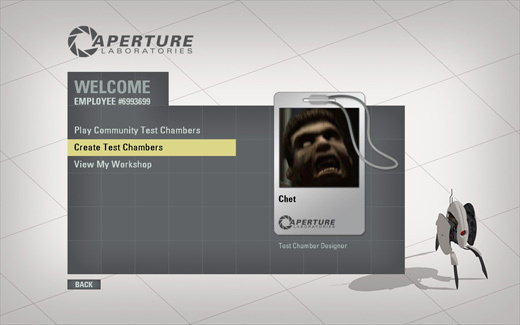 That slight note of terror you're hearing in GLaDOS's voice is probably just an audio calibration error. Anyway, on with your suicide mission. And when we say "suicide mission" we mean it would be suicide not to take this mission. Because it's so safe. Everything's fine. 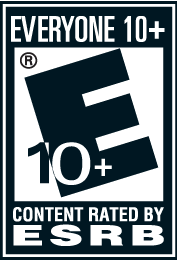 "Peer Review" is being rolled out across all regions on Steam, Xbox LIVE and PSN as we speak. 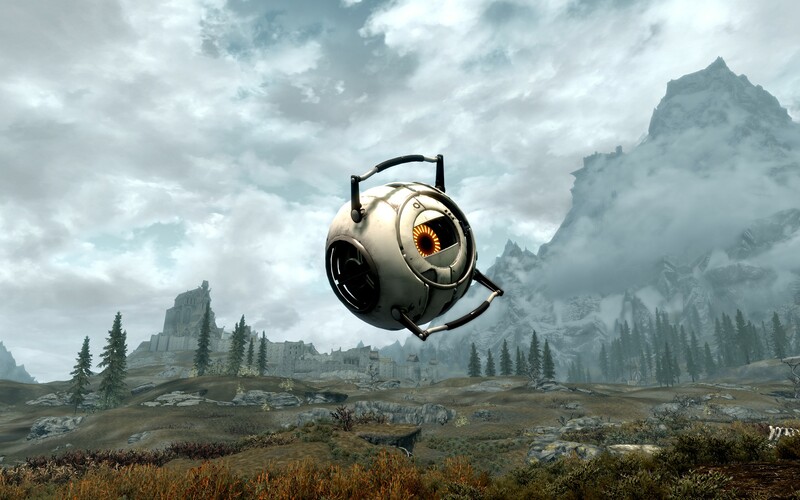 The free DLC is available to all owners of Portal 2 for download on PS3 and Xbox 360, and will be automatically downloaded via Steam on PC and Mac. And if you're not an owner of Portal 2, don't sweat it, we've made it easier to become one: To celebrate the release of the free DLC, Portal 2 is on sale for 50% off on Steam through Thursday. We were chatting with Portal 2 Lead Composer Mike Morasky the other day, and he casually mentioned that Songs to Test By Volumes One and Two have, to date, been downloaded close to two million times. We said that was nice, even though it didn't have anything to do with what we'd been talking about (bass fishing), and we asked him if we could go back to talking about that. Mike said okay. Then he asked us if we'd ever been bass fishing a million times, because if we had that would mean we'd fished for bass half as much as the Portal 2 soundtrack's been downloaded. This is why we don't talk to Mike. Anyway, the third and final volume of Songs to Test by is now available to download. We're not sure how many times the last two volumes were downloaded--five times, maybe, or six, if we had to guess--but according to the number currently being sky-written by a plane outside Valve's windows it was actually two million. Make it two million and one now. 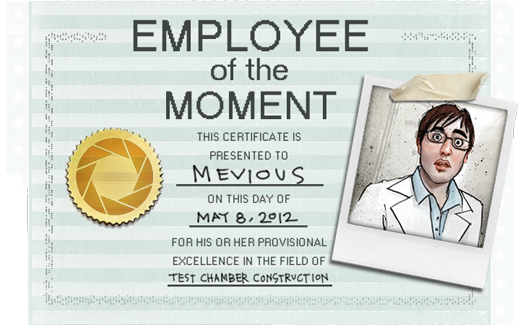 Oh yeah, by the way, before we forget, the first Portal 2 DLC, "Peer Review" will be out next Wednesday. For free. The Portal 2 Music Video Contest for The National's Exile Vilify is over. Everyone who made a video is a winner, but here are the real winners.